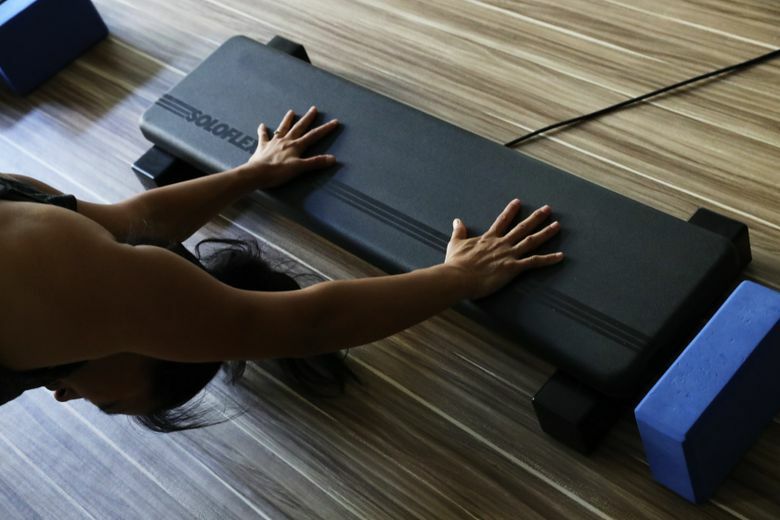 Vibration boards activate muscles you might not normally access, so you can notice body imbalances more quickly. THE VIBRATION WAS more intense than I expected, moving up my arms, through my torso and to my toes. I thought the sensation from a vibration board might be gentle, more like a massage. But the vibration board at my Yoga Vibe class at Flight Room in Seattle was not about to let me forget its presence for 30 minutes. Some physical therapists use vibration for strengthening and working through injuries. In the Yoga Vibe class, that principle is applied to yoga. 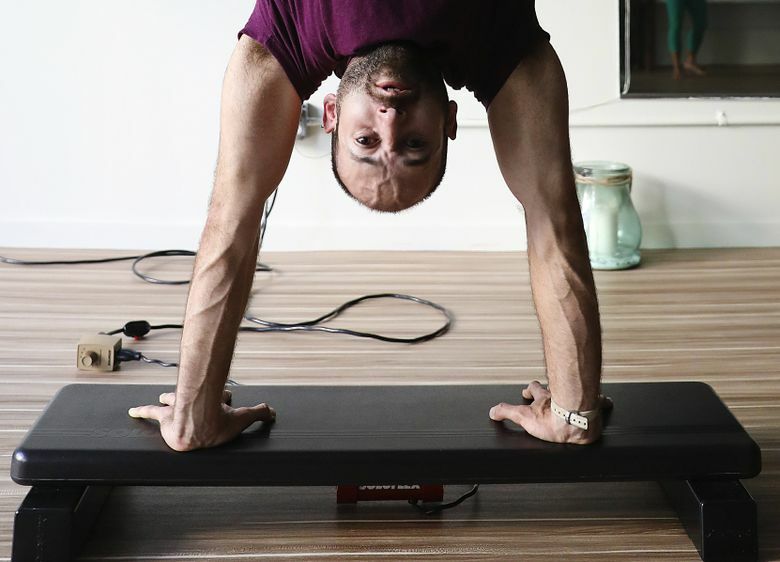 Teacher Richard Guevara says a vibration board activates muscles you might not normally access, and it challenges your body to use fast- and slow-twitch muscles at the same time. As a result, you can notice body imbalances more quickly, he says. We started in a child’s pose with our elbows on the board, a few inches off the ground. I could feel the vibration through my whole body, even as I relaxed into the pose. We moved out of that pose, brought our hands on the board and took downward facing dog. Unlike a regular yoga practice, where I often have to focus on breathing or my gaze to stay present, my attention was fully on the vibration in my arms. With a vibration board, presence is the only way. 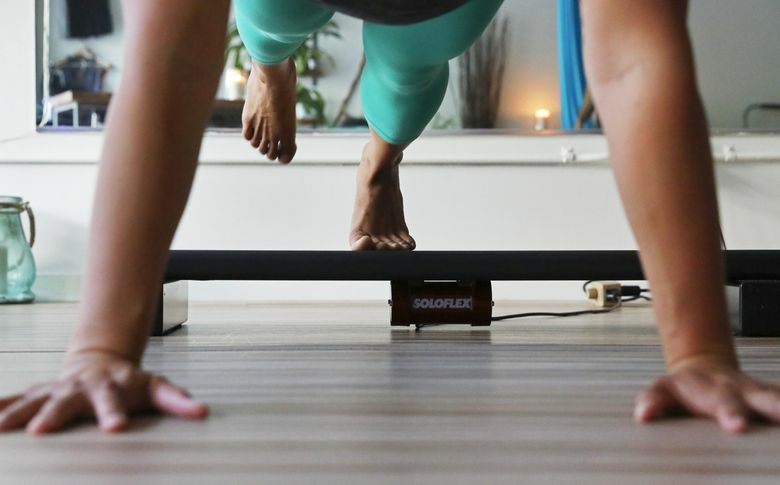 In plank pose, my hands on the board, the vibration rumbled up my arms and down to my feet. We did some slower flows, including low lunges with one leg on the board, to warm up. Guevara had us focus on whether we lifted one hip higher than the other, using the vibration from the board to notice whether we were slightly off. The biggest shift for me came during balance poses. Guevara had us stand; I felt the vibration all the way up to my skull. He told us that if we bent our knees, we could move some of that vibration out of our heads and bring it into our legs. We stood on one foot. I tend to be slightly off on my right leg in balancing poses, and on the board, I struggled to stand up on my right side. I had to focus on breathing and the vibration in my standing foot so I didn’t fall over; it felt like I had never done the poses before. My other leg felt strong. We did a side plank with our feet on the board — it was tough, with my feet vibrating through a long hold. We added in standing poses, like Warrior 1, and did planks with our feet on the board. I was hyper-aware of the vibration through my back leg and foot. I also was getting tired, even though we were only about 20 minutes into class. For our closing postures, Guevara had us lie with our lower backs on the board. The vibration into my sacrum felt amazing. This felt like a massage. We added leg work, but I mostly just wanted to rest. Soon enough, it was time to relax. We moved back so the board was under our hamstrings. Guevara handed us a cold towel, and I draped it over my eyes. The class never felt hard, yet I was worn out. The vibration works deeply into your muscles and lymphatic system, Flight Room says, and advises staying well-hydrated afterward. 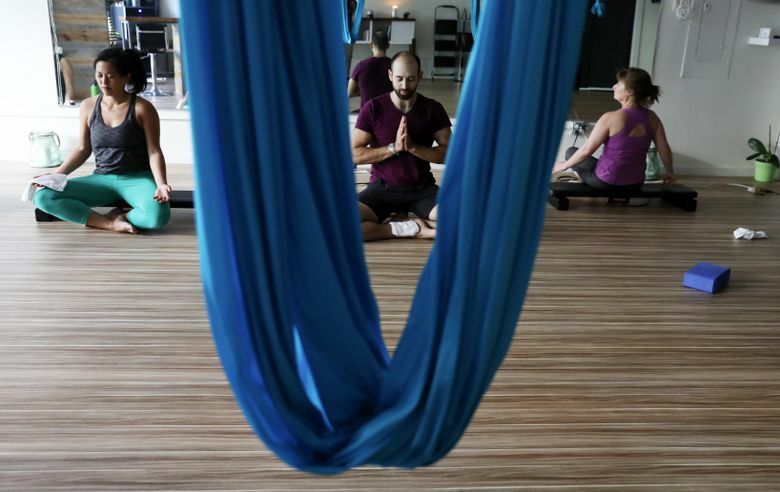 Yoga Vibe is the closest a class can get to challenging and restorative at the same time. Nicole Tsong teaches yoga at studios around Seattle. Learn more or reach her at nicoletsong.com. Ken Lambert is a Seattle Times staff photographer.